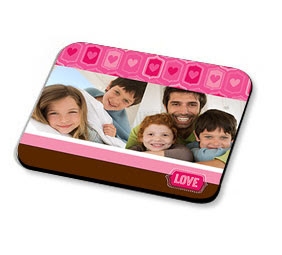 Today only (February 2nd), you can get a photo mousepad for only $10.00 shipped! The regular price is $10.95 — but then you do have shipping charges. So, you’ll save almost $7.00! This could make a great Valentine’s Day gift for that hard to buy for person on your list. Just head on over here to get started. Just use the code FEBMOUSEPAD at checkout.